When a pipe bursts in your home or a drain becomes backed up in your commercial business, this type of plumbing emergency can’t be put off for another day. You need to obtain emergency plumbing service as soon as possible to prevent further damage from happening to the building and the rest of your pipes. 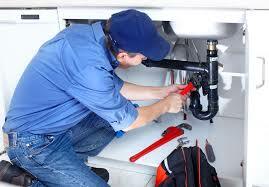 All Hours Emergency Plumber can give you the emergency plumbing repairs when you need them. Our technicians can handle a wide range of plumbing emergency problems such as leaks, backup up pipes, overflowing drains, sewer line issues, broken water pipes, broken-down commercial water heaters, and other emergency plumbing services. We have an emergency plumber on staff who is available 24 hours a day, seven days a week to provide the right emergency plumbing services to residential homes and commercial businesses. Here at All Hours Emergency Plumbing, we are a state certified master plumber. So you are rest assured to receive superior emergency plumbing service from a technician with years of knowledge and experience. You are not getting a plumbing apprentice who won’t be sure on how to properly evaluate your plumbing emergency. The moment you call us for emergency plumbing service, we will gather all of your information so we can bring the right repair equipment for your problem. Then we will arrive to your residential or commercial location and perform a thorough diagnosis. Our emergency plumber will inform you about the plumbing issues and emergency plumbing repairs that are required to fix the problem. We keep you informed through every step of the process so you are aware about the work that we plan to perform. Don’t let plumbing woes leave your home or commercial business in deep water. 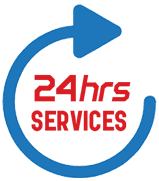 Let our emergency plumber here at All Hours Emergency Plumber provide you with the services you need at the time and day when you need them. Contact us today to receive emergency plumbing repairs that will fix your leaks, burst pipes, backed up drains and other problems. Then have a dry indoor environment that your family, employees or customers can enjoy.